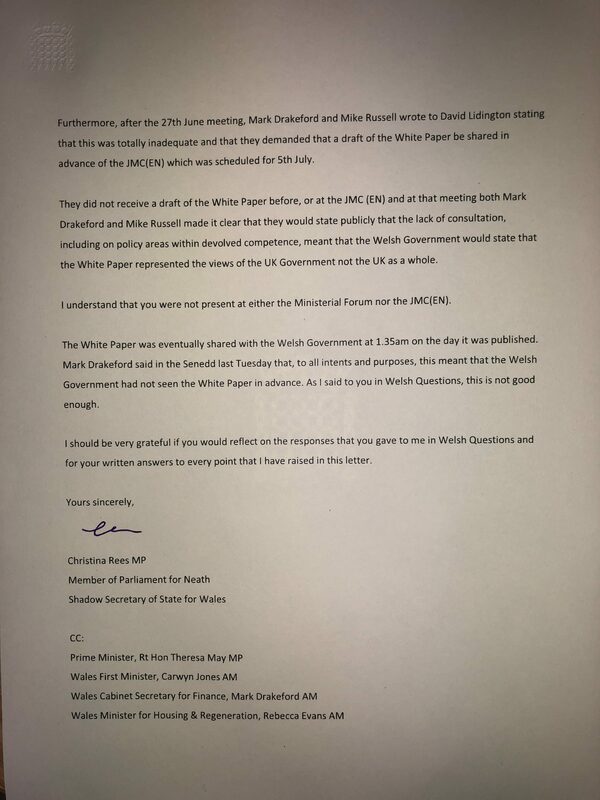 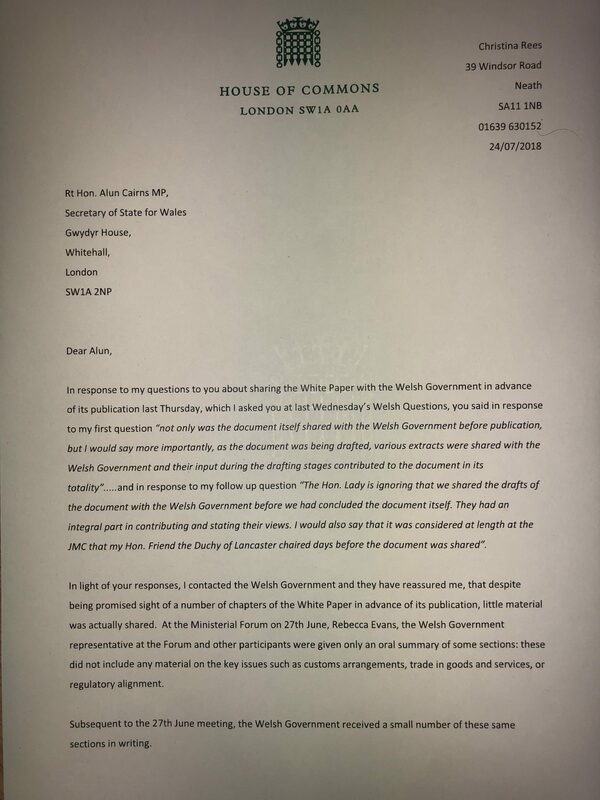 Below is a letter I have sent to Welsh Secretary Alun Cairns to challenge his claim at the last session of Welsh Questions that the UK Government’s Brexit White Paper had been shared with the Welsh Government prior to its publication. He was wrong, and I demand to know why such a claim was made. 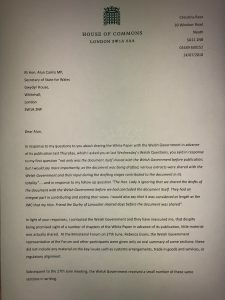 I am still awaiting a reply.